VisigothicPal: how do you call what you see? It has been almost four months since my project, ViGOTHIC, began, since I moved to London and the craziness that is to juggle amongst the many interesting conferences, seminars, exhibitions, workshops, and so to assist to, started. I have enjoyed every single bit. If you happen to be around London for the next term, do not miss the chance to attend to an Earlier Middle Ages Seminar, a Medieval Manuscripts Seminar, some of the Centre for Late Antique and Medieval Studies gatherings or to the London Palaeography Group Graduate Seminars, as well as the Teaching the Codex interdisciplinary colloquium (@TeachingCodex). That to name but a few of the things going on here which anyone interested in Medieval Manuscripts should look forward to. It makes a dense agenda, indeed. Anyway, as I was saying, the project started, and even in such a short time, the work already carried out has rendered its first results. My main objectives for these first months were two: first of all, to take a closer look at the software developed by the team of the DigiPal project in order to see how to adapt it to the study of Visigothic script, making the most of its features; next, to start to work directly with the copy of the Apocalypse of St John of Patmos enclosed in the British Library Mss. Additional 11695, with the main aim of determining how many scribes intervened on its making, distinguishing their main graphic characteristics and differences. Both tasks developed while organising some outreach activities - for example, the four sessions organised at the International Medieval Congress at Leeds in July 2016 -, in addition to some others about which you will hear in due course. 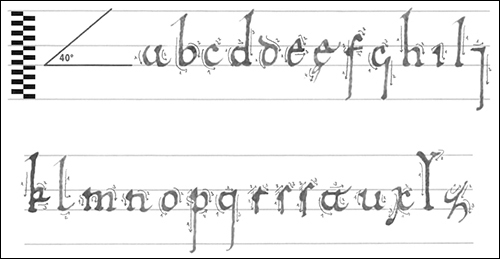 I must confess that I am sometimes betwixt and between when it comes to digital tools and palaeographical analysis (= digital palaeography). I balance between an enthusiastic “we should do everything digital!” and a less cheerful “we should follow the old fashion, adding ‘digital stuff’ only to speed up the analytical process, if mandatory”. However, or maybe because so, the first task, to work on the “DigiPal meets Visigothic script” theme, has been and is a *FAVOURITE*. 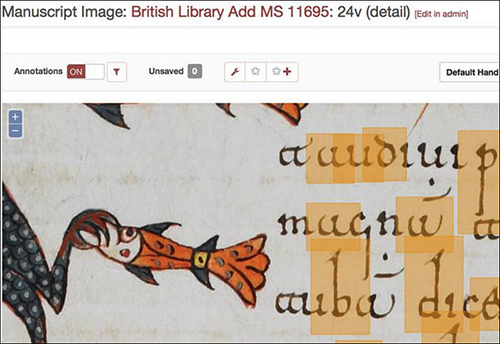 Has been because we, the DigiPal team and I, met and discussed some initial problems found in this merging Visigothic+DigiPal thing. Is because these problems would need to be taken care of - I am so looking forward to that! The work done in the second objective described above, the identification of scribes, yielded interesting results, but nothing as world-shaking as would possible be to solve the “Visigothic script goes digital” problems. And, you might be wondering, which are these problems? The problems found have to do with naming. If you have ever been in a palaeography meeting of some sort you would have noticed that palaeographers always tend to disagree when it comes to putting names to things. I mean, there is usually no consensus about how to describe or define a script, a particular hand, its general aspect, the letters that make the representation of the model the scribe had in mind when writing, its components… It is not only a problem, terminology, when working with a particular script, within a particular school, but rather it applies to all palaeographical studies, scripts, and groups of scholars. When I started working on Visigothic script many years ago, I thought there must be some sort of universal list, something like a dictionary, accepted by all palaeographers, to help describe the hand of each scribe, how he drew each letter and sign. Then, when comparing hands, I would be able to register that a specific part of a specific letter varied, and describe how and maybe even why. Well, such a thing does not exist. There is no universal name for each of the parts that make each letter (although you will find some suggestions here). That is why palaeographers always argue on the matter of naming what we are seeing in a particular hand or in a script, how we see it was drawn. In my experience, since, so far, I have been part of the Spanish, American, Canadian, and now British academia, each one of us call the elements that form a letter in a different way, and it is not just a problem of language. Within each of these national schools, there are as many with their own terminology. As you can imagine, this is a big problem since we cannot understand each other unless we enclose an image of what we mean by using a term. The problem with terminology reveals more excruciating when working collaboratively. I will use one set of terms, another scholar in my research group, working on the same source, will use another. And you might suggest ‘there is no problem, just agree in which terms to use’. And, which terms are the correct ones? Yours? Mine? It is not only what we, in our research group, decide to choose but what the other specialist in the field will think. Will they agree or, at least, understand the term chosen? As far as I am concerned - and I think everyone should be - as long as the terminology is justified it should not be a problem to use one name or another. Right? Well… Now let’s go further. Considering that what I aim to do is developing a VisigothicPal, aka the Visigothic script version of DigiPal, how do I manage to make the computer understand what I mean when describing a disjointed part of a letter? I not only need to establish the terminology to use, but I need to think that whatever terms I select, they need to be understandable for a computer; they need to be simple, clear, coherent and need to cover every possible stroke a Visigothic script scribe made. You see, no piece of cake. Following the project’s schedule, I will come back to the definition of a terminology for Visigothic script and for VisigothicPal next September 2016. As I said, cannot wait! © 2015- VisigothicPal. 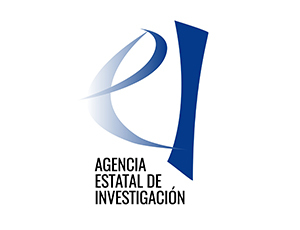 Some parts of this site are available under a CC-BY or other licence: see further Copyrights and Permissions. All images of manuscripts and charters on this website are copyright of the respective repositories and are reproduced with permission. 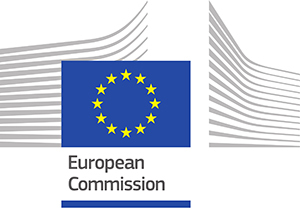 VisigothicPal-ViGOTHIC is funded by the European Union’s Horizon 2020 research and innovation programme Marie Sklodowska-Curie under grant agreement No. 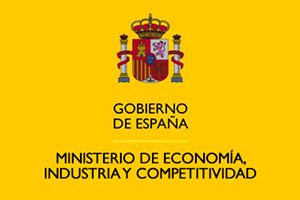 656298 and by the Ministerio de Economía, Industria y Competitividad - Ayudas Juan de la Cierva Incorporación 2016.